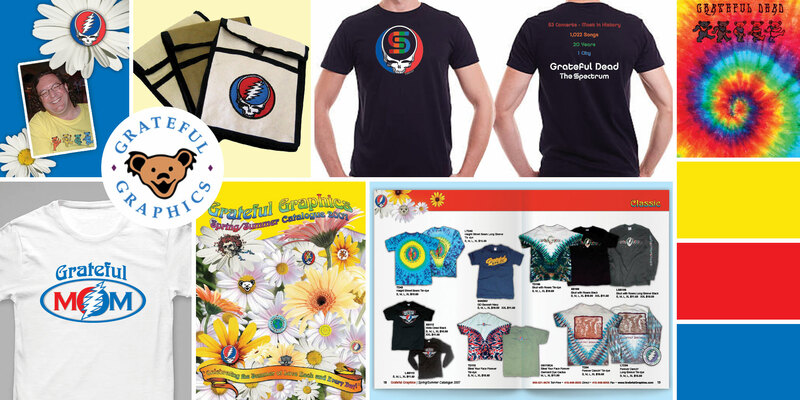 What a long strange trip it’s been … Grateful Graphics, was one of the original Grateful Dead Merchandise Licensees. They changed the world of Grateful Dead merchandising and began a cultural revolution within our community that allowed Deadheads to show their love and devotion for the band in a gentler, more loving way. We worked with Grateful Graphics on their annual catalog, marketing materials, and photography before they closed their doors in 2012.